Absolutely living up to its name, the 2018 edition of Bali & Beyond Travel Fair showcased destinations in Indonesia that are equally enchanting and enticing as the island that was voted the Best Tourism Destination in the world by TripAdvisor last year. Led by the unique charms of Bali, which formed such an essential part of Elizabeth Gilbert’s best-selling novel Eat Love and Pray and was later turned into a hit movie starring Julia Roberts, Indonesia entered among one of the top-20 fastest growing travel destination in the world. In 2017, tourist arrivals grew 22 per cent compared to the previous year, and the period of January to April has already shown impressive 14 per cent growth, as against seven per cent in the neighbouring ASEAN countries and the worldwide statistics of six per cent. But with the Indonesian government giving priority status to tourism, agricultural and fishery sectors, the Ministry of Tourism has set a target of the country getting into the top-30 of the 141 nations that are part of the World Economic Forum’s Travel & Tourism Competitive Index by the end of 2019. In line with those ambitions, and keeping in mind the growing trend of nomadic tourism and eco-tourism, Indonesia has come up with a plan to develop 10 new destinations – all based on the successful model of Bali. Last year, the government announced they will develop ’10 New Balis’, but at the 2018 Bali & Beyond Travel Fair, said the focus will be firstly on four destinations – Labuan Bajo in East Nusa Danau Toba (Lake Toba) in Northern Sumatra, Borobudur Temple in central Java and Mandalika in west Nusa – and then concentrate on the other six. The other six destinations are - Tanjung Lesung, Kepulauan Seribu, Tanjung Kelayang Beach, Mount Bromo, Wakatobi and Morotai Island. Labuan Bajo is world renowned for its Komodo National Park – the only place in the world where one can find komodo dragons in their natural habitat. Danau Toba is a picturesque 100km long lake nearly 900m above sea level formed by volcanic eruptions 70,000 years ago. 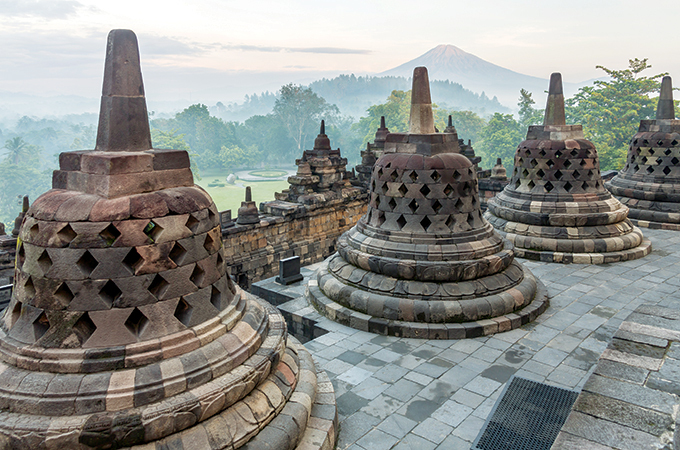 Borobudur Temple, a Unesco World Heritage site, is one of the largest Buddhist temples in the world. Built in the ninth century, it was rediscovered in 1814 and restored to its current state in 1982. Mandalika, in southern Lombok, has a stunning 7.5km stretch of beach and is being developed as a cruise and Mice destination. The government is putting in a lot of money and effort in developing the infrastructure in these destinations. This includes building a 1,250-hectare integrated tourism complex at Mandalika (12,000 hotel rooms, 78-berth marina, Mice venue, golf course among other things planned), building new roads and expanding airports, giving significant tax breaks to investors and spending on security and digitization of services and cities. In 2018, the three main focus areas for the government will be to ensure digital tourism, developing a tourist village homestay programme and creating greater air travel accessibility. Arief Yahya, the Minister of Tourism of Indonesia, said: “Our biggest challenge is to build a harmonious synergy between all entities, local authorities and all sectors, thus creating the ‘Indonesia Incorporated’ concept. Dr I Gede Ardika, former minister of Culture and Tourism in Indonesia, and the man widely credited with the success of Bali as a tourism hotspot, said the new destinations will also follow the Hindu philosophy of ‘Tri Hita Karana’, which helped Bali become such a success. “We have to make tourism sustainable. We cannot look at tourists as walking ATMs. Travelling is a human right and as hosts, we have to give the tourists an experience he will remember fondly,” said Ardika. With the aim of making access into Indonesia as easy as possible, the government has introduced free visa to residents of 169 countries. The fifth edition of Bali & Beyond Travel Fair, organised by the Bali chapter of the Association of the Indonesian Tours and Travel Agencies, was the biggest in its history. It was attended by 320 buyers from 41 countries (up 60.8 per cent from 2017) and 241 sellers from six countries. Services valued at a record $593.31 million was transacted during the fair.